Welcome to Day 1046 of our Wisdom-Trek, and thank you for joining me. Hello, my friend, I am Guthrie Chamberlain, your captain on our journey to increase wisdom and create a living legacy. Thank you for joining us today as we explore wisdom on our 2nd millennium of podcasts. 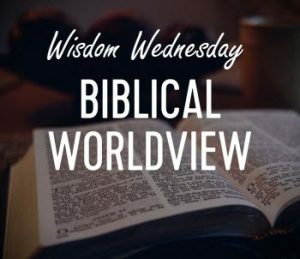 This is Day 1046 of our trek, and it is Wisdom Wednesday. But Abraham lived two millennia before Jesus. There’s nothing about a crucified Savior in the stories about Abraham. What is Paul thinking? To correctly process Galatians 3:8, we need to think about the gospel in different terms. We typically think of the gospel in terms of the crucified Savior, Jesus, dying for our sins. But the work of Christ was just the means to accomplish what God sought. God wanted a sinless, holy, human family. The sacrifice of Jesus—fully God and fully human—was the necessary mechanism to achieve that larger goal. The gospel is God’s plan to become a man so He could have that holy, human family. Could Abraham have grasped that? Paul quoted part of that passage in Galatians 3:8. 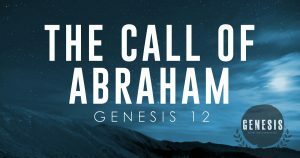 Paul believed that as a result of that divine encounter, Abraham came away with the knowledge of the gospel that God would become a man to provide the means for a human family. 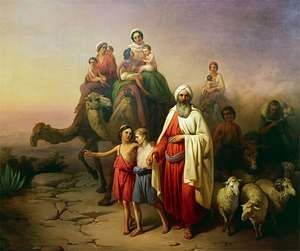 Even more than that, Abraham discerned that he and his offspring—which didn’t yet exist, and which seemingly couldn’t exist—were a critical part of that plan. Was Paul reading a different Old Testament than us? No, Paul got his information about the good news where all the gospel writers did—Jesus (Galatians [1:12]: 1 Corinthians 15:8). If John 8:56 is any indication, Jesus happened to be an authority on Abraham’s divine encounter with God, “Your father Abraham rejoiced as he looked forward to my coming. He saw it and was glad.” The Jews listening to Jesus immediately understood Him to mean that He had met Abraham. That’s why they said in the next verse John 8:57, “The people said, ‘You aren’t even fifty years old. How can you say you have seen Abraham? '” They were actually right on both counts. We know that John referred to Jesus as the Word (John 1:1). Less well known is that the “Word of the Lord” is at times an Old Testament description of the embodied God of Israel. 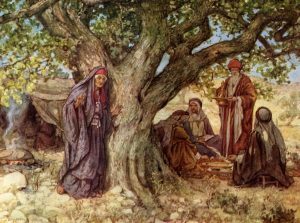 For example, Jeremiah was visited by “the word of the Lord” (Jeremiah 1:2-4) whom he called “Sovereign Lord” (Jeremiah 1:6). The Lord God, the Word, is embodied in human form in Jeremiah 1:9, “Then the Lord reached out and touched my mouth and said, “Look, I have put my words in your mouth!” There are other such passages in the Old Testament. One of them is Genesis 15:1 where the covenant promises between God and Abraham were sealed, “Some time later, the Lord spoke to Abram in a vision and said to him, ‘Do not be afraid, Abram, for I will protect you, and your reward will be great. '” Notice that this was a vision. In Genesis 12:7, the passage Paul quoted in Galatians 3, has the same language but a physical component, “Then the Lord appeared to Abram and said, ‘I will give this land to your descendants.’ And Abram built an altar there and dedicated it to the Lord, who had appeared to him.” Paul wasn’t out of his mind. 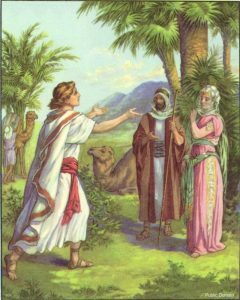 Abraham had met the Word, and through that encounter, he understood the salvation plan of God. That will conclude our essay for this week. 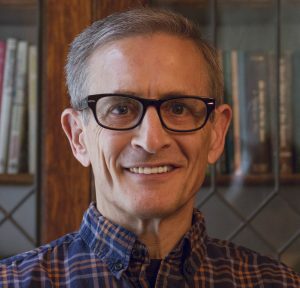 Next Wisdom Wednesday we will continue in the New Testament as we look at Dr. Heiser’s next essay titled “How Many Times is Jesus Coming Back?” I believe you will find this another interesting topic to consider as we build our Biblical worldview. 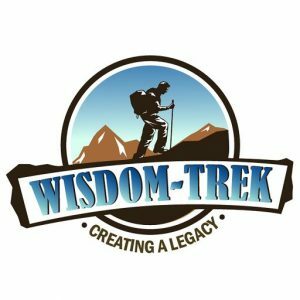 If you would like to listen to any of our past 1045 treks or read the Wisdom Journal, they are available at Wisdom-Trek.com. I encourage you to subscribe to Wisdom-Trek on your favorite podcast player so that each day’s trek will be downloaded automatically.